A home based business (HBB) may be a good means of employment for family members who relocate every two or three years. There are many options available, and members are only limited by their own interests, and the financial resources available to them. Whichever business a family member decides to enter, they must follow German law and military policies. Individuals may not operate a HBB in Government-owned or -leased quarters until they have received written approval from the Installation Commander. The Installation Commercial Affairs Office (ICAO), operated by the Family and Morale, Welfare and Recreation Business Division will provide you with the documents needed to obtain the necessary approval. An individual who wishes to operate an HBB must submit the required documentation at least 30 days before beginning operations. Operating a home based business on-post in family quarters requires an approved Exception to Policy (ETP). The business or activity must be in the interest of the installation’s quality of life, must not distract from installation operations, and may be subject to host nation tax and business licensing laws. 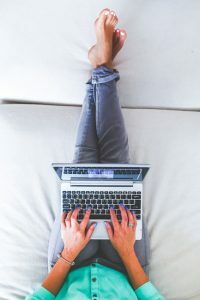 In Germany, operating a home-based business may require the operator to register with the German authorities, as well. Operators should contact the Gewerbeamt and Finanzamt to find out if any Host Nation laws require them to register. The Finanzamt may require operators to fill out and submit the Taxation Questionnaire (Fragebogen zur Steuerlichen Erfassung). That form is only available in German and can be obtained from the F&MWR Commercial Affairs Office. Operators of a HBB are liable for German business taxes and fees, and they may also be liable for U.S. income taxes associated with income from the business. Neither the Commercial Affairs Office nor the Stuttgart Law Center are able to assist operators in filling out registration forms or advising on German regulatory law as it relates to home-based businesses. Failure to properly register your HBB violates U.S. Army in Europe regulations and leaves you susceptible to military administrative or civilian misconduct action, as well as fines and prosecution from German authorities. (1) Using a USAREUR plated vehicle for HBB activities; using the military postal system to send or receive HBB correspondence. (2) Purchasing tax free items from AAFES, the AAFES catalog, any duty free facility, or using a VAT form to make purchases for the HBB. (3) If you buy commercial items in other countries, you must stop at the border and tell German customs your goods are for resale. These are only some of the prohibited Activities while operating a HBB. Additional restrictions and details are in AER 210-70. People who don’t follow these rules risk receiving a hefty fine and tax demand from German customs, or tax authorities, as well as military administrative or civilian misconduct action where applicable. Unfortunately, the Stuttgart Law Center cannot assist with HBB as is falls outside of the scope of legal assistance, but the ICAO may be able to assist with any questions. To initiate the application request to operate a HBB in Stuttgart, contact DSN: 421-2622/civ. 0711-729-2622 to begin the process. All requests for home based businesses must be processed through the F&MWR Business Operations Division, contact DSN: 421-2622/civ. 0711-729-2622. The Garrison Commander has the final approval authority to conduct any home based business in on-post Army Family Housing. The garrison HBB advisor will email interested applicants a email packet that will include all regulations, helpful hints, forms, and information. 1) The business is only conducted within the requestor’s own apartment, not the common areas. 2) Visitors are not permitted to use resident parking. 3) You may not solicit door to door or distribute advertising material in mailboxes. 5) No modifications will be made to Government-owned or leased quarters. The customers of these HBBs should ensure an agent or vendor has AE Form 210-70F, AE Form 210-70G and the Garrison Commander’s authorization before signing the agent or vendor onto an installation, inviting the agent or vendor into the consumer’s quarters or entering into a contract. 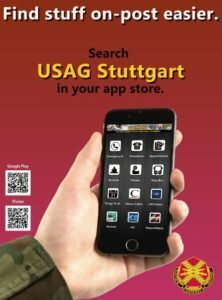 Customers can view the list of approved HBB’s on-post in Stuttgart here. Customers should also report companies or individuals allegedly engaging in unfair business practices. • Door-to-door solicitation of residents of government-owned or -leased quarters if the residents have not extended a personal invitation. • Unsolicited contacts made in person or by telephone. This does not prohibit contacting current (not past) customers or responding to requests for customer service. • Initiating contact to make appointments with or solicit military and civilian personnel who are on duty by government telephone, fax, or by sending e-mail to a government computer, unless a relationship already exists between the parties. • Government-owned or leased quarters will not be used as a business showroom, warehouse, or storage facility. • No exterior parts of Government-owned or -leased quarters (for example, doors, windows, hallways, exterior walls) will be used to advertise products or services. • Use of U.S. Forces-registered POV for HBB activities and will not bear signs advertising HBB goods or services. • Use of tax- and duty-free gasoline, whether purchased with AAFES gas coupons or at AAFES service stations, for HBB. • The military postal service may not be used to send or receive any parcels or correspondence related to the HBB. This does not preclude customers from receiving goods ordered through an HBB and properly mailed directly to individual customers by a company through either the U.S. or German postal service. • May not purchase goods for demonstration, resale, or operation (for example, ledger books, computers) from AAFES, the AAFES catalog, a commissary, or any other tax- or duty-free sales facility (for example, an installation bowling alley).